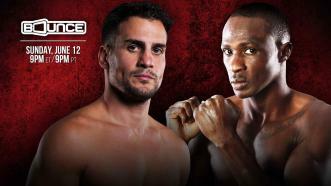 Rugged Canadian Phil Lo Greco takes on hard-hitting Florida native Joseph Elegele in a 10-round, 147-pound showdown. 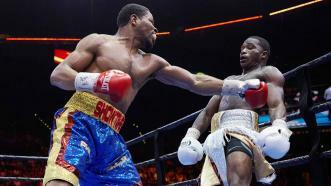 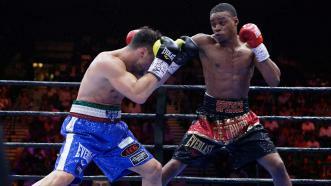 Shawn Porter won a physical fight that went the distance, earning a 12-round unanimous decision over Adrien Broner, while Errol Spence Jr. notched up a decisive win over Phil Lo Greco. 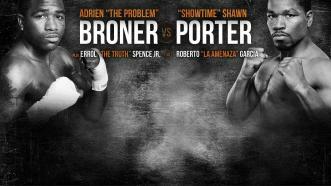 Adrien "The Problem" Broner takes on Shawn "Showtime" Porter, and Errol Spence Jr. faces Phil Lo Greco, live from Las Vegas.